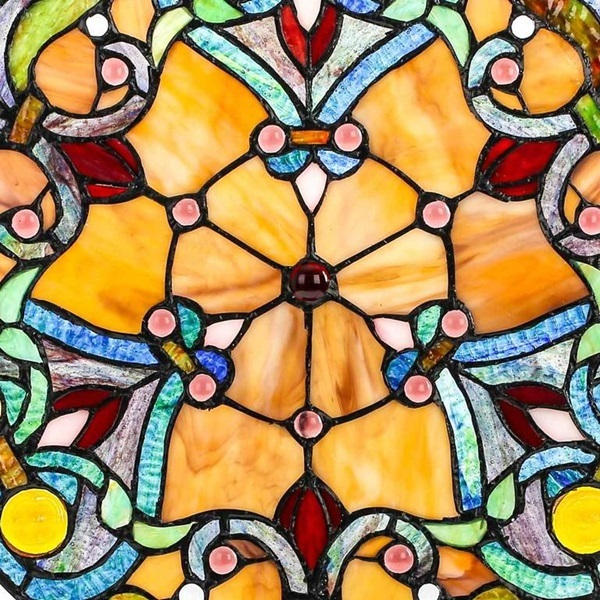 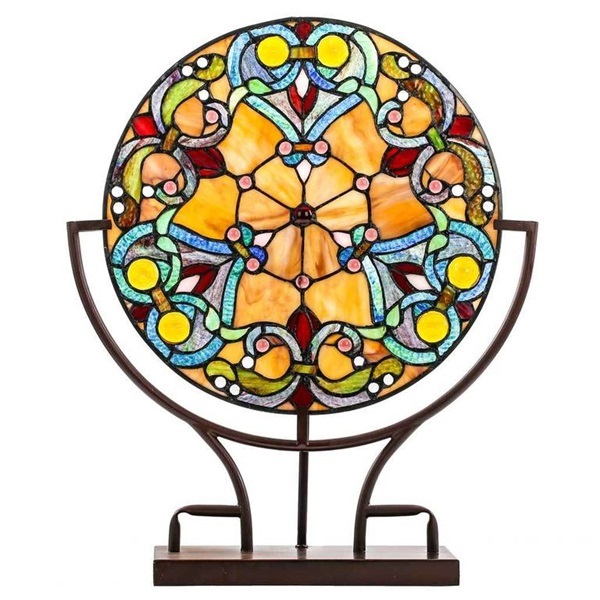 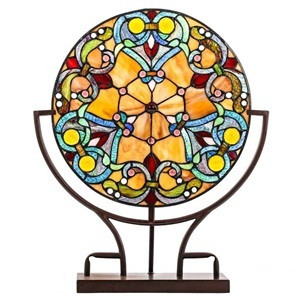 Fill your space full of color and light with the Webbed Hearts Tiffany Style Stained Glass Panel Lamp. 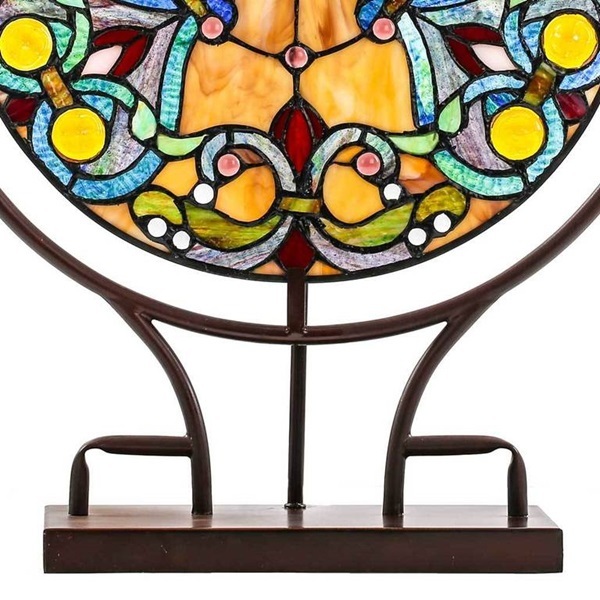 This piece features a glass panel hand crafted with over 175 pieces of ripple glass Edwardian Hearts against a striking background made with striated glass and hand-poured cabochons. 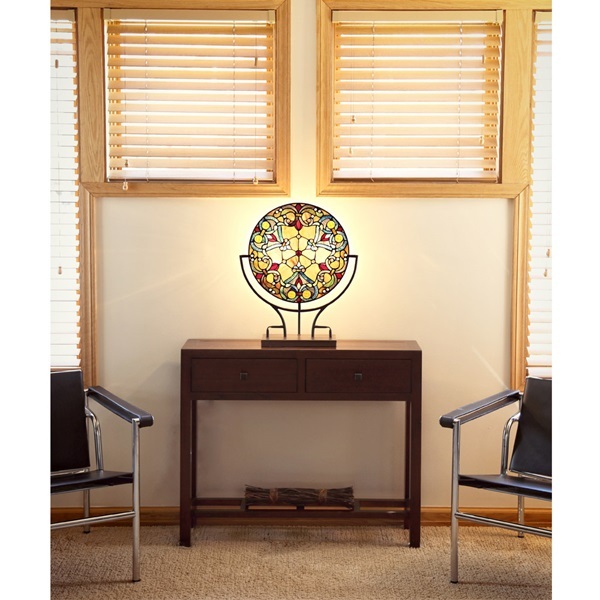 The width of this lamp is just over 5.5" and the cord is 70" long, making it the perfect piece for a small space or narrow dresser.